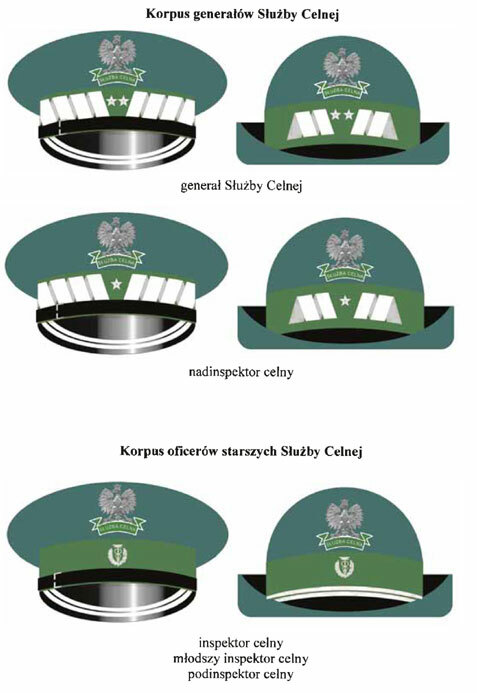 What is the difference between the Customs Service and the Customs Inspection? 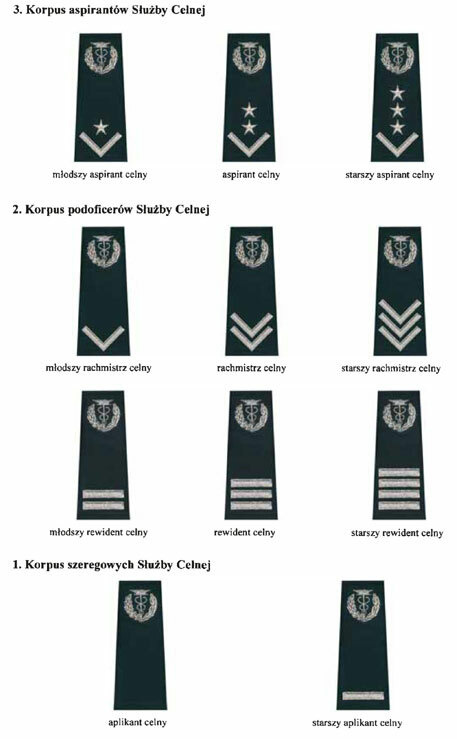 See also: http://lex.com.pl/serwis/du/2009/1415.htm for official rank equivalency of police, border guard, customs service of Poland. 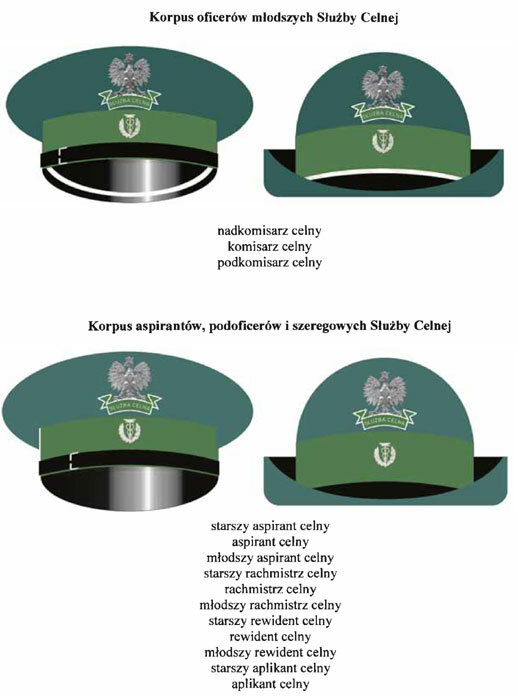 Before Poland accessed EU the Customs serwice was on the borders and Custom Inspection had the right to inspect for example truck anywhere in the Polish territory. It was kind of customs police. After accessing EU the Custom Inspection has been dispanded (in 2002) and some of it's duties were moved to tax inspection (which is public service - not uniformed). Currently the Custom Service has the right to examine suspicious cars, market places etc anywhere in order to find any smuggled / illegal goods. 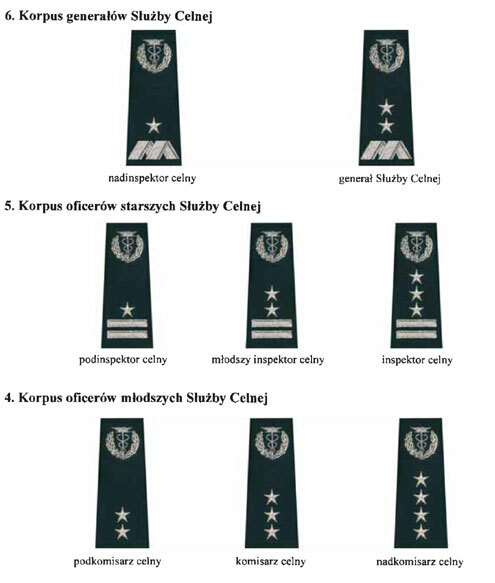 Regarding insignia and ranks - I will verify later.